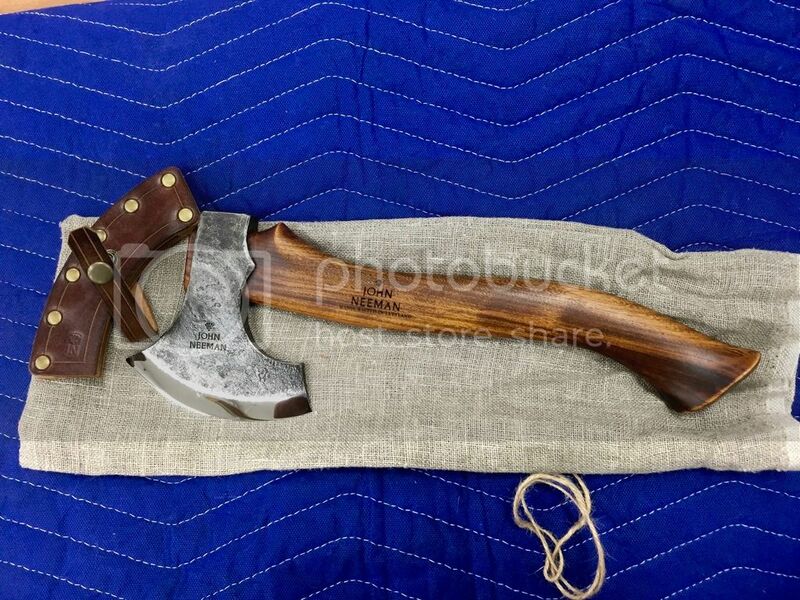 At last, my hand forged carving axe that was to be last year's Christmas present has arrived. What's that? 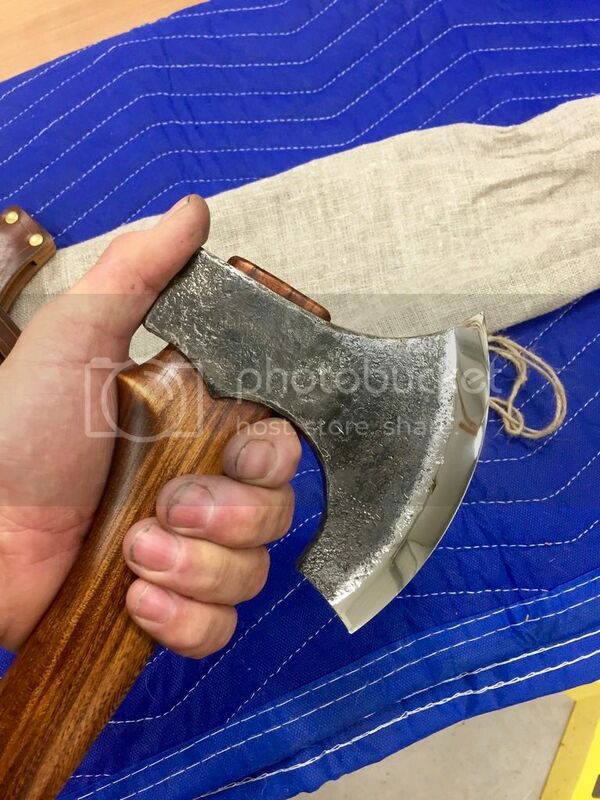 You didn't know that an axe could have a beard? Why yes it's true. Although this beard is more likely to do the shaving than to be shaved. The bearded axe can do amazing things in the hands of a skilled worker. In Norway, it's considered an essential boatbuilding tool, and can be employed as the only tool. I'm planning to make some spoons first, boatbuilding will have to wait. I'd like that just to hang on the wall. I don't know how to use tools that I can't plug in. Looks like on helluvan edge on that puppy! Very nice! You plan on using it for Turkey day? Bet it would do a great job and no doubt raise some eyebrows.